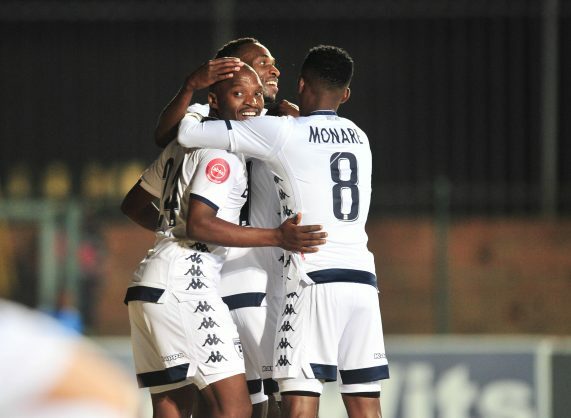 With 15 goals scored on the opening weekend of the Absa Premiership one becomes hopeful that we will at least have a top goal scorer who will have netted more than 15 times this season. It has been a while since we have had a decent tally from the top marksman. This has become a worry over the years, so much so that Orlando Pirates have hired a scoring coach to help sharpen their attackers. It is a good move but has been met by differing views, with some not so keen and question why players at professional level need to be taught a basic skill like shooting at goal with accuracy. Our legend for the week, the lanky George Koumantarakis is not impressed as he feels that scoring requires natural instinct. He says scorers are born for it and do not have to be taught. He should know. He was a top scorer in his day and in those times they netted more than 20 times in a season. Mark Fish however doesn’t seem too keen on this new trend started by his former side and also has his own reasons. There is however hope that this season will be one for the record books. For our One on One this week we spoke to one of South African phenomenal young coaches in Simphiwe Dludlu who has turned Bantwana into a formidable side who can compete against the best in the world. It is encouraging to read about how he has struggled and gone through the fire to get to where he is. And some good news for Kaizer Chiefs as their long awaited signing, Andriamirado Andrianarimanana finally landed yesterday and has started training with the team. There was a little hiccup with the Madagascan’s deal which has stalled his transfer but Amakhosi faithful will be happy that they finally have their man. For us the struggle to get his name spelled right starts. But maybe he will be kind enough to allow us to call him by his nickname “Dax” to save us the blushes of getting it wrong. The Premiership’s new boys Highlands Park and Black Leopards started on a positive note and will be looking to build up from that going forward. Owen Da Gama’s side benefitted from Wayne Sandilands bad luck to earn a draw at Orlando Pirates while Joel Masutha’s Lidoda Duvha scored a win over Polokwane City. Premiership action continues again tonight with Amakhosi hosting Bidvest Wits and the new Chiefs mentor has likened his team to Italian giants Juventus who also went through a dry spell but have come back and made the Seri A title their own. We wait in anticipation to see if he can turn things around at Amakhosi who have wilted over the past few years. The MTN8 kicks off this weekend and with almost every team who will be participating this time desperate – for various reasons of course – to annex the term’s first cup.